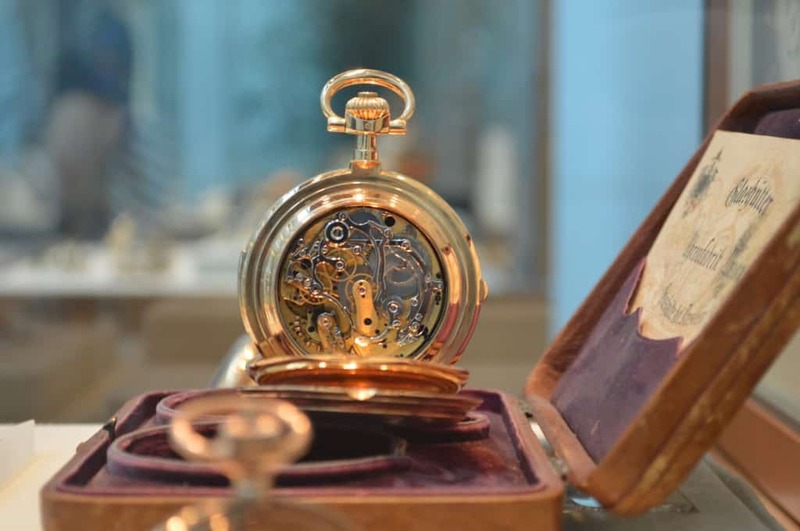 The Glashütte Original manufactory is probably the last place you’d go to buy a watch, but it’s the first place to go to see how luxury watches are made. The attention to detail for these luxury watches is astonishing for both fashion and functionality. After seeing what goes on behind the scenes to create these watches, you’ll never take the “simple” device for granted ever again. If you can’t afford this wrist bling (prices can get as high as six digits), consider taking a tour of the manufactory or better yet, checking out the informative Glasshütte Museum just down the street from the manufactory. Located just 20 kilometers from Dresden, Weesenstein Castle today does not look like a medieval fortification, though that’s how it started out some 800 years ago. It formerly belonged to the King of Saxony and before him, to a wealthy noble family for 12 generations spanning over 300 years. Now owned by the state of Saxony, you can visit the castle along with its the gardens, chapel and museum for a mere €6. During our day trip here, we dined at Schlossbrauerei for lunch. If you’re looking for good food, great beer and an enthusiastically passionate brewmaster, this is the place. 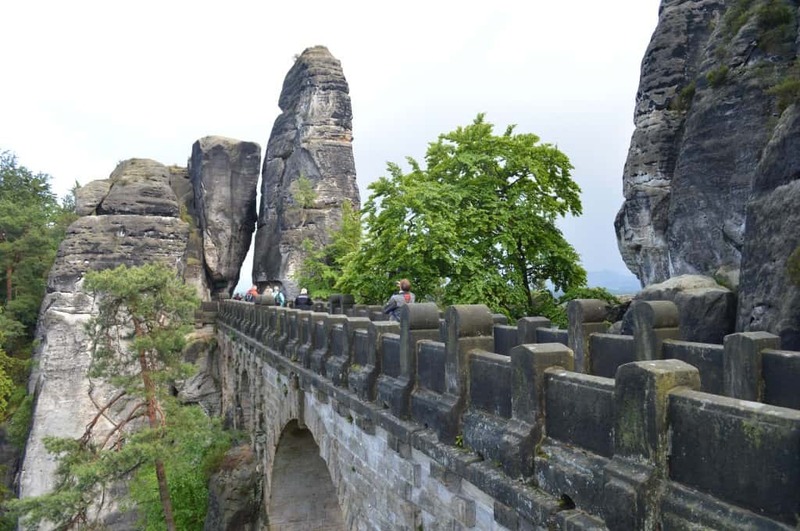 The Elbe Sandstone Mountains in Saxon Switzerland National Park in Germany should be your number one choice if you’re to go to only one spot on a day trip from Dresden. They truly offer some of the most gorgeous views you’ll find not only in Germany, but in Europe. 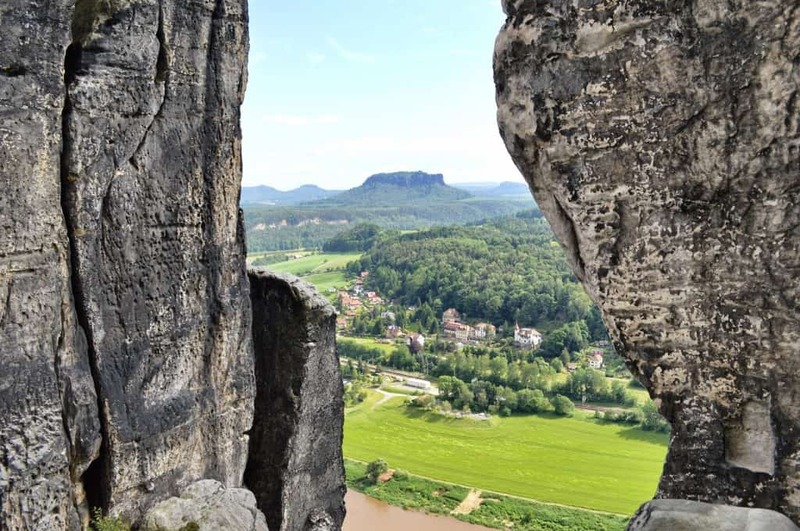 The Bastei is the rock formation to behold in Saxon-Bohemian Switzerland. The stone bridge stretching across it promises mesmerizing views of the landscape below. This is also one of the best areas to do a bit of hiking in the region if you choose to hike up instead of driving. 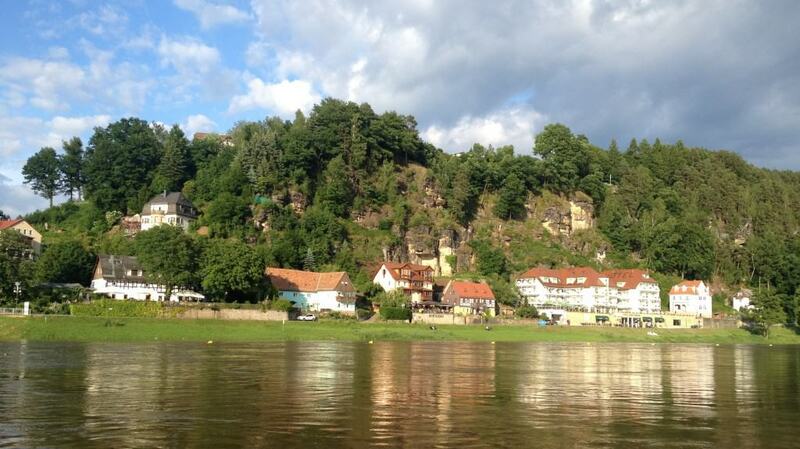 Straight from the Bastei rocks you can meander down to Rathen, a small town along the Elbe River in Saxony, Germany. This charming village is a popular tourist spot due to the National Park and there are plenty of restaurants and hotels with incomparable views to choose from if you should decide to stay the night. From Rathen, you can easily return to Dresden by taking the ferry across the Elbe to reach the train station on the opposite side. There are a wide range of options to keep you entertained outside of Dresden and we enjoyed taking advantage of them all! What are your favorite types of day trips? Share with us in the comments! Thanks Mariah. We had a great time and would love to return again! The park is absolutely stunning. We were so surprised during our visit. It’s really quite easy to get to as well. Have fun! Wow, I really, really like to the look of Saxon Switzerland National Park! Time to grab my walking shoes on and get the hell over there! This is park is amazing, thanks for the great post. Germany is wonderful place to visit. History, culture, and natural beauty perhaps best describe the essence of vacationing in Germany. The beautiful Black Forest with its dark, densely-wooded hills is one of the most visited upland regions in Europe. 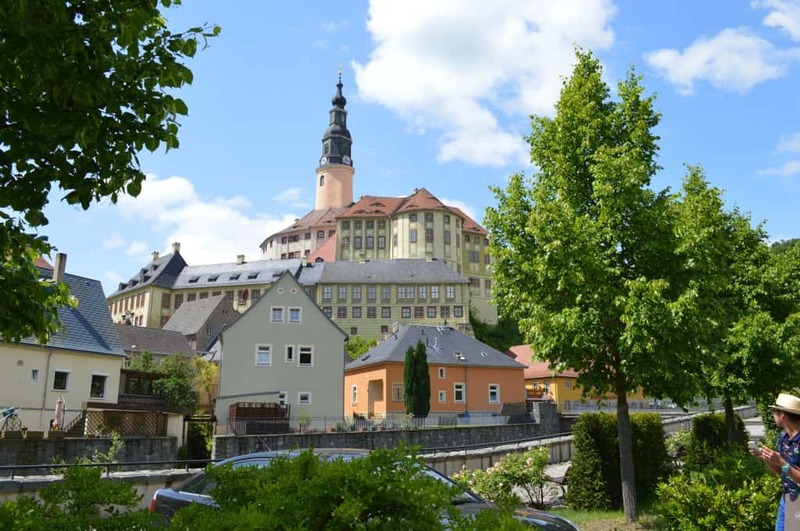 In the southwestern corner of Germany and extending 160 kilometers from Pforzheim in the north to Waldshut on the High Rhine in the south, it’s a hiker’s heaven. Germany is a great country. Great post for travel lovers & all these places are fantastic to visit. All Systems Go for the Fringe at Edinburgh!